The Cape Winelands, comprising, Stellenbosch, Paarl, Franschhoek, Durbanville and Constantia are the major wine producing areas of South Africa. 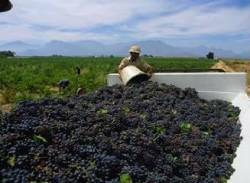 The tours include visits and wine tastings at visitors expense in various estates in the winelands. Inquire or book Cape Winelands Tours.